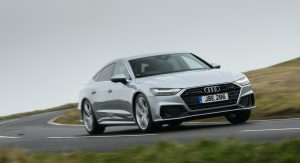 Audi is expanding its all-new A7 Sportback range in the UK with the addition of an entry-level 45 TDI model. 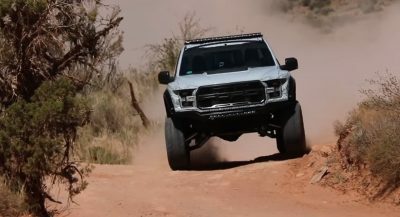 It’s powered by the same 3.0-liter V6 diesel unit as the 50 TDI, except that instead of 286 PS (282 HP) and 620 Nm (457 lb-ft) of torque, it delivers 231 PS (227 HP) and 500 Nm (369 lb-ft). 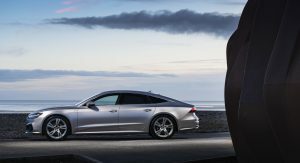 According to Audi, despite being able to get you from 0 to 62 mph (100 km/h) in just 6.5 seconds, the A7 Sportback 45 TDI can still offer you up to 50.4 mpg (5.6 l/100km) combined. Contributing to the car’s frugality is the 48V mild-hybrid drivetrain fitted as standard. It’s said to reduce real-world fuel consumption by up to 0.7 liters per 100 km. It can manage this by shutting off the engine at speeds between 34 and 99 mph (54-159 km/h), enabling the car to coast. 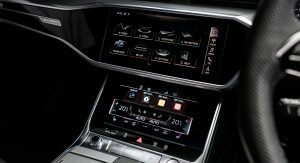 The A7’s start-stop system has also been updated as it can now activate at 13 mph (21 km/h). Together with the standard front camera, the engine is restarted predictively while the car is stationary, as soon as the vehicle ahead begins to move. 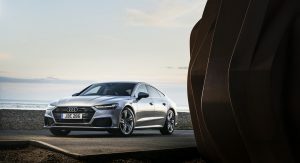 As for specs, the new A7 Sportback 45 TDI quattro boasts MMI Navigation Plus with MMI Touch, Audi Virtual Cockpit, a rear-view camera, Audi pre-sense front, a lane departure warning system and LED lights front and rear, all standard on Sport spec models. Meanwhile, S line versions gain 20-inch alloys instead of 19-inches, Sport suspension and HD Matrix LED headlights. 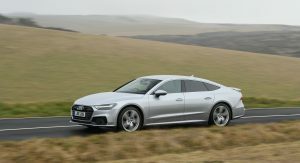 UK buyers will spend upwards of £52,240 OTR for an A7 45 TDI Sport, and £55,140 OTR for the S line version. omg that new labeling is even worse than their new interiors…. wtf does 45 stand for? same thing with 55 TFSI…. (this is a rhetorical question, i can find it) i think its super illogical. 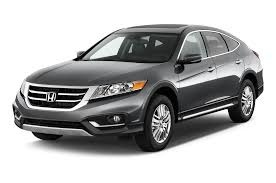 I still think Honda did it better with the Accord Crosstour. 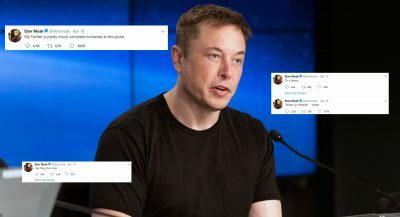 Can’t wait ill they launch the 46 and 47…cause you know…numbers and all.